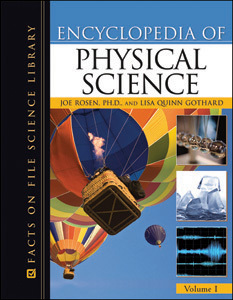 Encyclopedia of Physical Science discusses concepts that unify the physical sciences with life, Earth, and space science. Examining topics such as natural hazards, global challenges, and the history and nature of science, this two-volume set complements the material typically taught in high school and college physics and chemistry courses. More than 200 entries cover National Science Education Standards concepts and topics, theories, sub-disciplines, biographies of people who have made significant contributions to the physical sciences, common methods, and techniques relevant to modern science. Entries average approximately 2,000 words each and most include cross-references of related entries and a selection of recommended further readings. "...authoritative and accessible...recommended for high-school, college, and public libraries." "...well worth considering as a replacement for the earlier work..."
"...an accessible reference on an important topic." "...useful...recommended for high school, college, and public libraries."